Dennis Jr har jobbet som produsent siden tidlig på 90-tallet. Han slapp en 10" på det legendariske Jazid Collective labelen i 2001, før han startet sitt eget label, Akustikk Recordings, hvor han har gitt ut en fin bunke med EP-er med egen musikk. De siste par årene har han jobbet og finpusset på sitt debutalbum: Elektro Donkey. Med hans bakgrunn som trommis, så har musikken hans et sterkt rytmefokus. Låtene har en basis av synkoperte og perkursive rytmer, med lag av diskret og moody elektronikk. Stilmessig spenner albumet fra dub via nu-jazz og nu-soul til future/cosmic disco og house. Dennis Jr’s studiomagi utfylles av to samarbeidspartnere som setter sine distinkte spor på albumet. Han har samarbeidet med den legendariske nigerianske jazz-saksofonisten Dennis Otone (som i sine unge år hadde gleden av å spille med legender som Fela Kuti, Lloyd Baker, Thad Jones, Stan Getz, Manu Dibango og B.B. King), og hans søster Christabelle, kjent for sitt album “Real Life Is No Cool” sammen med Hans-Peter Lindstrøm. Dennis Jr has been working as a producer since early 1990's. He has released a 10" on the legendary Jazid Collective label in 2001, before starting his own label, Akustikk Recordings, where he has released a string of EP's of his own music. 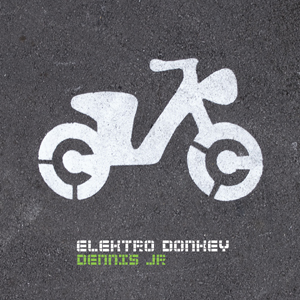 The last couple of years, he has been working on his debut album: Elektro Donkey. With background as a drummer, his music has a strong rhythm focus. The tracks have a ground base of syncopated, percussive rhythms, with layers of sparse and moody electronics. Style wise, the album is spanning from dub via nu-jazz and nu-soul to future/cosmic disco and house. Dennis Jr’s studio trickery is paired with two collaborators who put their distinctive marks on the album. He has collaborated with the legendary Nigerian jazz sax player Dennis Otone (who at an early age had the opportunity to play with legends like Fela Kuti, Lloyd Baker, Thad Jones, Stan Getz, Manu Dibango and B.B. King), and his sister Christabelle, known for her album “Real Life Is No Cool” along with Hans-Peter Lindstrøm.